M. Fabricio Perez, associate professor of finance and director of the Financial Services Research Centre in the School of Business and Economics, has won the Montias Prize for best paper published in the Journal of Comparative Economics in the last two years. Perez co-authored the paper, titled “Illicit Money Flows as Motives for FDI,” with Zdenek Drabek of the World Trade Organization and Josef Brada of Arizona State University. 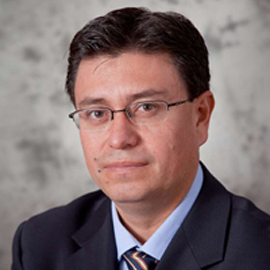 Perez joined Laurier in 2008 after receiving his PhD from Arizona State University. His research interests include econometric theory and financial econometrics with focus in asset pricing models and corporate finance. He is also the coordinator of Laurier's PhD program in Financial Economics. The award will be announced and presented at the Association for Comparative Economic Studies (ACES) Membership Meeting in Boston, Massachusetts, Jan. 3-5, 2015.